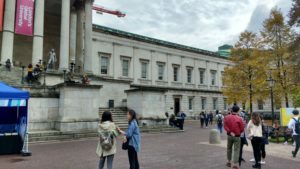 Our regular quarterly meetings are held in London, at the Gustave Tuck Lecture Theatre, University College London. Admission is free to members, and we also welcome newcomers who want to get a taste of what we provide before they join. No need to register – just turn up. Details of how to get there, with maps, are given below. Other events are occasionally held around the country, in which case details of their location will be given. All talks are presented at a popular level and should be understandable by anyone with an interest in astronomy. Saturday 27 April 2019, 2 pm. Gustave Tuck Lecture Theatre, University College, London. (details below). Dallas Campbell, TV science broadcaster, will speak on How to Leave The Planet. For 250,000 years humans have been firmly rooted to the Earth. And sure it’s got some good things going for it – but what if you want to get off? Do you need a passport? Can you take your dog? What will you wear? What will you eat? 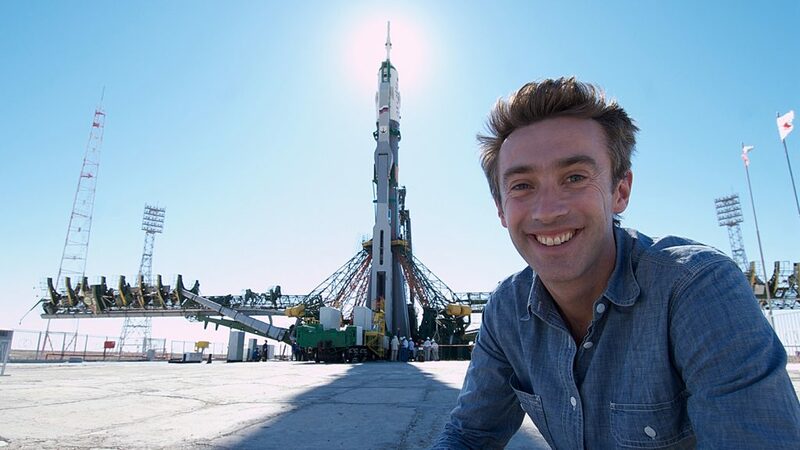 Join science broadcaster Dallas Campbell for this ultimate guide to human space travel: from the Jacobean space-race, to Elon Musk and beyond. A must for anyone who has looked up in wonder at the stars. And then wondered how to get there. In this 50th anniversary year of the Apollo Moon landing, Dallas will be bringing along a faithful replica of Neil Armstrong’s Moon suit. He has never left the planet. And never will. After the break, Robin Scagell will give brief guide to what’s up in the sky for the next three months. Then David Arditti, Director of the BAA’s Equipment and Techniques Section, describes how to go about basic planetary imaging. These days you can make photographs of the planets using small telescopes which are the equal or better than any made in the 20th century. David explains the techniques used and the equipment you can use. Saturday 27 July 2019, 2 pm. Gustave Tuck Lecture Theatre, University College, London. (details below). David Whitehouse, a former President of the society, will talk on Apollo 11 – The Inside Story, in which he reveals the true drama behind the mission, telling the story in the words of those who took part – based around exclusive interviews with the key players. He’ll be describing some of the research for his latest book with this title, including stories from astronauts, engineers, politicians, NASA officials and even Soviet rivals. David Whitehouse is a former BBC Science Correspondent and BBC Science Editor. Prof David Rothery will look at moons throughout the solar system, from our own familiar Moon to Charon, the extraordinary moon of Pluto. I recent years we have come to realise that some of them may even be abodes of life, in oceans below the icy surface. You can view videos of the main talks at meetings on your computer. Just click on the image at right to see what’s currently available. There are videos of talks about all aspects of astronomy there – they’ll keep you entertained for hours! 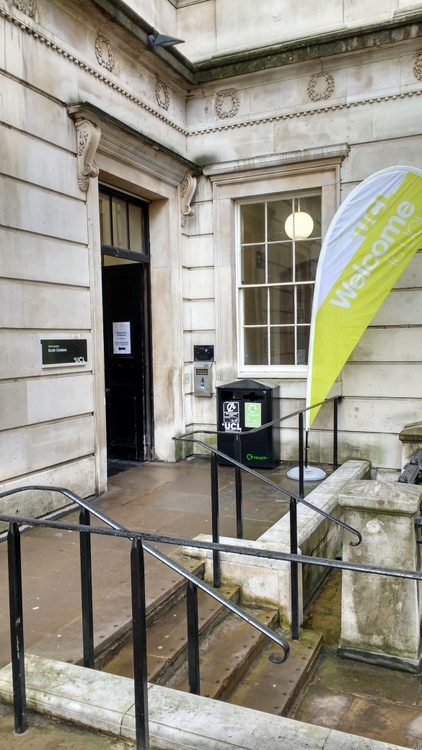 SPA meetings are held on the last Saturday of January, April, July and October, normally in the Gustave Tuck Lecture Theatre of University College London, Gower Street, London WC1E 6BT. The first section of each meeting is generally taken up by a talk from a guest speaker, while the second has shorter items on current astronomical events, and possibly reports from sections.